How to Root and Unroot Android Phone without PC? Rooting an Android phone is allowing Smartphone and Tablet users to access features offering privileges that were previously inaccessible hence the name Super User Law. This action has many advantages and disadvantages for the one who knows how to do it; In this tutorial we will also talk about how to unroot Android phone ie how to cancel, or remove the root on his Android phone. Why root his Android phone? How to Root and Unroot Android Phone? Your Android phone probably works very well and it is important to ask the question: what will the root of an Android phone actually serve us? 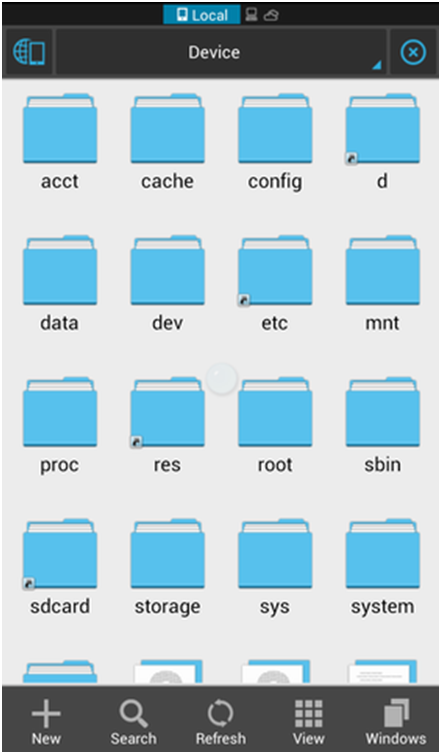 Here are some details of what you can do with your smartphone once rooted. Warning: The operation described below is safe, but remains informal. Consequently, the author of this article can be held responsible for any damage caused to your device. Since the app has not been downloaded to the Play Store, be sure to install it before your phone allows unknown source applications. Go to "Settings> Security> check the" Unknown sources "box. After restarting, check to see if KingUser App is among the list of applications installed on your smartphone; If so, your mobile has been root. Canceling, deleting or removing the root from your Android smartphone may be necessary because you have not been seduced by the possibilities offered by the root, resell it or when you have to bring your smartphone back to the after sales service for a question The validity of the guarantee. 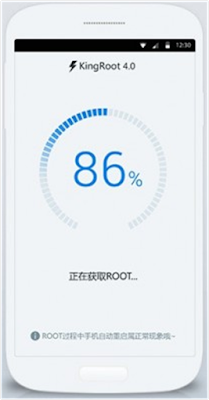 There are several ways to remove root on your smartphone, such as reinstalling your firmware or using a flash on your smartphone. In this tutorial, we will instead use two other simple methods that always result in the same result. Confirm with Continue. After the operation is complete, you can restart your smartphone. You just dropped your phone. 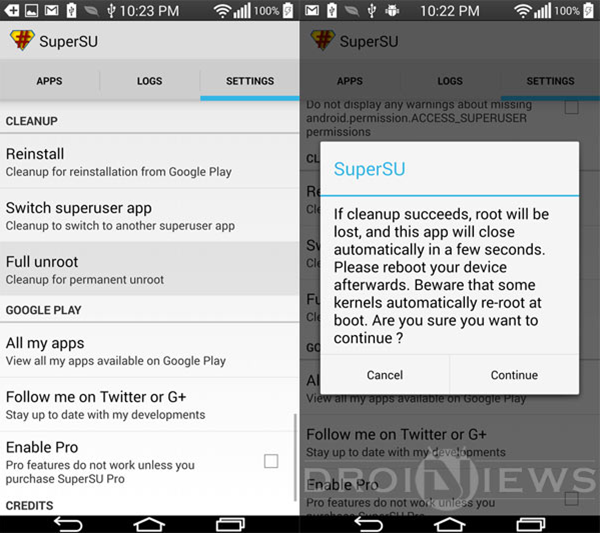 You can now uninstall the SuperSU application as much as it will no longer be useful. Delete Superuser.apk , or any other super user application use by your android to assign ROOT access, ex: com.kingroot.kinguser.apk . You just dropped your Android manually. You can now root and roll your Android phone in peace and quiet in a simple and effective way.